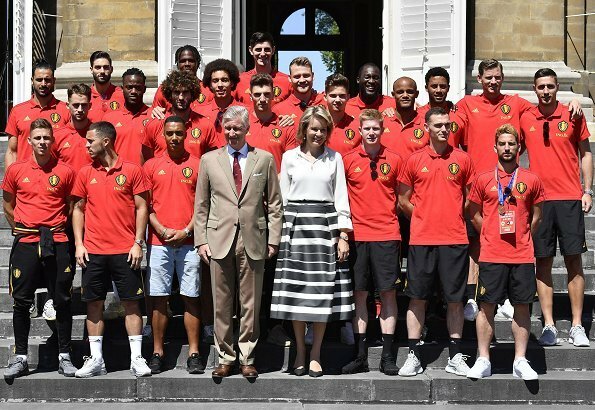 On July 15, 2018, King Philippe and Queen Mathilde welcomed the Red Devils, the Belgium international football team after returning from Russia at the Royal Castle of Laeken. 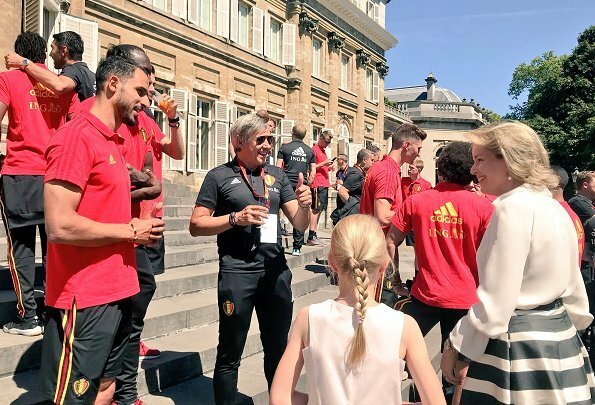 The Belgians earned their highest FIFA World Cup finish by beating England, 2-0, in the third-place match on Saturday. 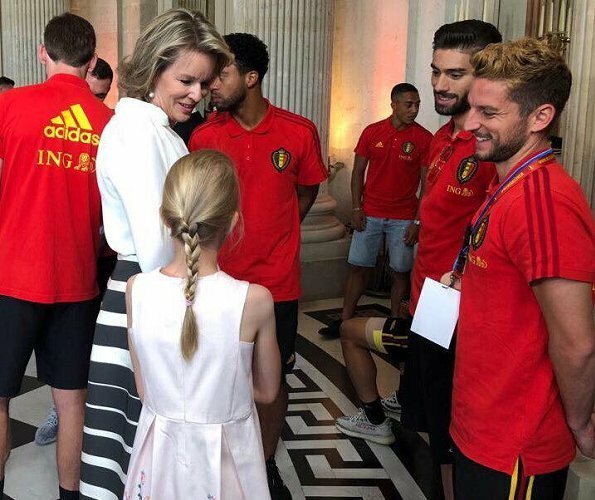 Princess Eléonore attended the celebration reception and welcomed and congratulated the Belgium football team players. Pretty skirt on the queen. I like the fabric, style, and length. 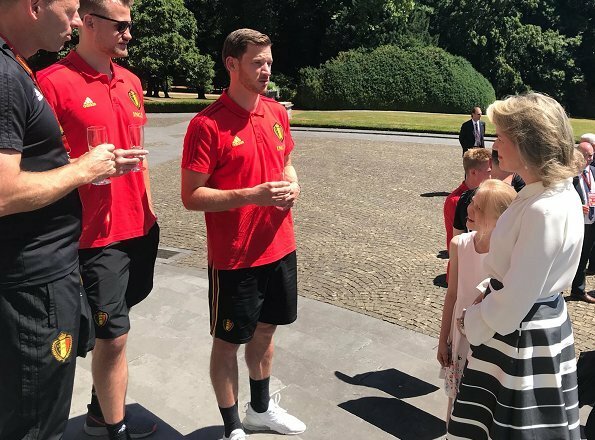 Q Mathilde looks very lovely, nice skirt and blouse.Pss Elionore was with her parents.A very nice gesture to invite the Football Team to the Palace.Very nice Royal Family. 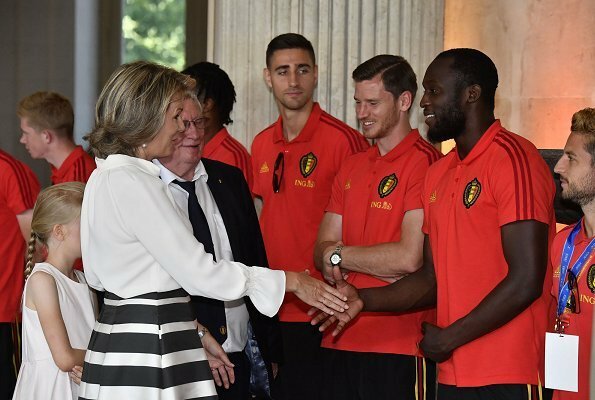 Congratulations to Belgium International football team on earning highest FIFA World Cup record ! 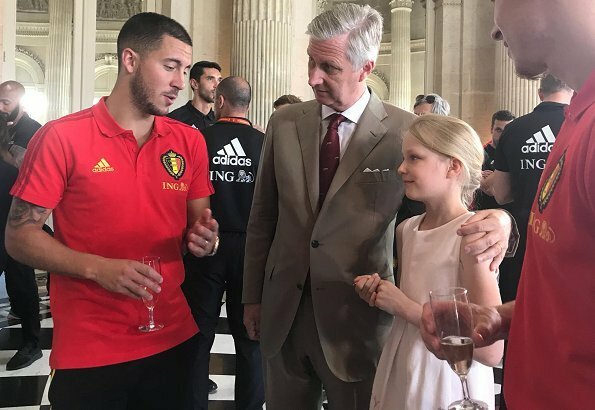 Great event for Princess Eléonore to be able to attend. 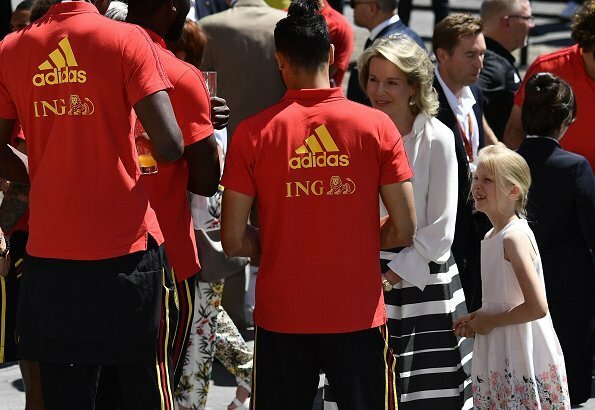 The Queen looks great - I like her skirt. 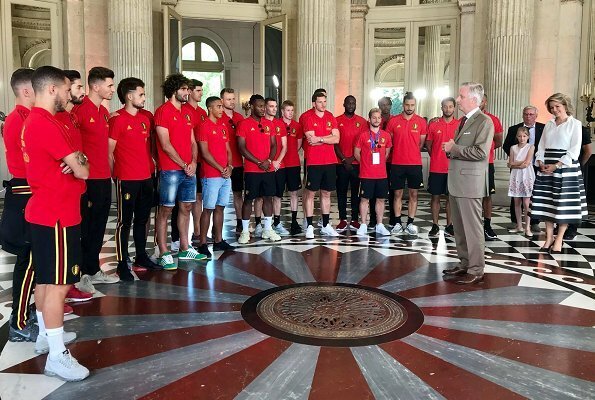 That skirt is hideous and makes Mathilde look like a "mesa camilla", that is a round table covered with a cloth that reaches down to the ground unter which is placed a brazier or a small electric heater. The "mesa camilla" is the spanish version of the japanese kotatsu.